A true adventure to the world's most remote wilderness! This 11-day Antarctica Classic Expedition Cruise and 13-day Antarctica Extended Expedition Cruise both focus on the South Shetland Islands and Antarctic Peninsula, home to some of the planet's most impressive wildlife and dramatic landscapes. Throughout the voyage, M/S Expedition's team of lecturers and guides share their knowledge of the region's remarkable natural history. The extended 13-day expedition offers two additional days to further explore the Antarctic Peninsula. Enjoy the sights and sounds of the world's most southerly city. Arrive in Ushuaia at any time. Embarkation on the M/S Expedition begins in the afternoon at the port in Ushuaia. We enjoy the evening sailing through the Beagle Channel. Our adventure begins with a 400 mile crossing of the passage that bears the name of the 16th century English explorer Sir Francis Drake. The ship is at home in this part of the Southern Ocean. Take in daily lectures from your expedition team and keep an eye out for the first sightings of icebergs, whales and albatross following in the ship's wake. Experience some of the most unique wildlife viewing and inspiring scenery in the world as you set foot on the Antarctic continent. Attempt two shore landings per day (weather conditions permitting) and encounter Gentoo, Chinstrap and Adélie penguin rookeries, Weddell, crabeater and leopard seals, and orca, humpback and minke whales in the cold Antarctic waters. The Peninsula also has a remarkable human history. During the voyage you will learn about some of the most important and dramatic expeditions to this remote corner of the world. 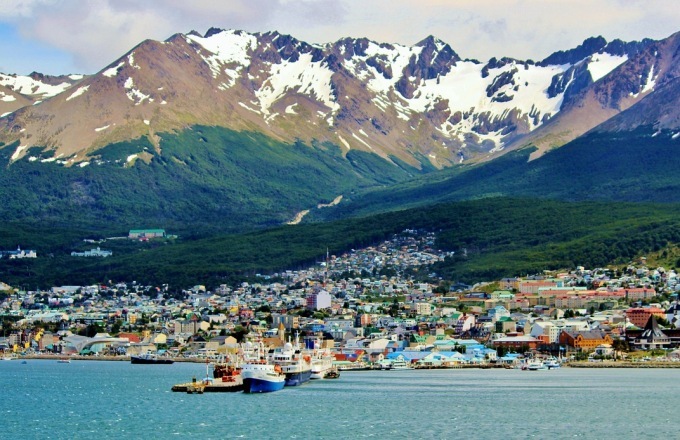 Journey north to our home port of Ushuaia. Review the highlights of your Antarctic experience with your lecturers and staff. Keep your eyes open on the observation deck for some final whale sightings. Solo travellers willing to share can reserve a quad, triple or twin-shared cabin, where you will be matched with a person of the same gender. If the other cabin berth goes unsold, you will be guaranteed the rate with no single supplement. For those who desire single occupancy, cabins are available for single occupancy at 1.6 times the twin rate, excluding Category 1 and 1A cabins. At a nimble 345 feet in length, with a capacity to hold 132 guests, the M/S Expedition is an ideal vessel to ply polar waters. Her large outside decks offer panoramic views and her cabins are some of the largest in the industry, all boasting an ocean-facing window or porthole and private en-suite facilities. With a focus on top of the line safety, comfort and the unique demands of polar travel, the M/S Expedition is one of the world's leading polar expedition cruise ships. Unlike many expedition ships, where public space is at a premium, the M/S Expedition has multiple large public areas to enjoy during sea crossings and in between land excursions. A 2009 renovation resulted in a $13 million refurbishment. Designed with your safety in mind, the MS Expedition is fully equipped to meet the demands of cruising in polar regions. Its forward-looking sonar reduces the risk of grounding on uncharted reefs and its design and construction complies with Finnish-Swedish ICE Class 1 standards. The ship is equipped with new and regularly serviced lifeboats and life-rafts. Its four partially enclosed lifeboats provide capacity for all passengers and crew while six life rafts boast a capacity of 150 persons. In addition the MS Expedition has full cold-weather immersion suits for all-designed to significantly increase the odds of survival in the event of immersion in freezing waters. The ship's crew is dedicated to ensuring every journey exceeds travelers' expectations. From the Expedition captain who has successfully navigated over 100 ice cruises, to the ship's expedition leader with over 30 years experience in polar expeditions, they are amongst the most experienced and skilled in their field. 1 twin share hotel night with breakfast in Ushuaia. Embark on a journey to the “uttermost end of the earth.” On the Ushuaia - Punta Arenas route you will enjoy the splendour and beauty of unique natural scenery from aboard a comfortable ship set up to make your Patagonia experience unforgettable. Discover the magic at the end of the world on a 4- to 7-day Patagonia Wildlife Safari! No matter the length of your stay, you will be blown away by the unlimited beauty of the world heritage site Torres del Paine National Park. At time of booking a non-refundable deposit of $750 per person is required to confirm a reservation on this Antarctic voyage. The deposit may be paid by bank wire transfer, check, money order or major credit card. Final payment is due 90 days prior to departure. Lifetime deposits for this trip apply wherein if the trip must be cancelled, the deposits may be applied to a future trip on the Expedition of same or greater value. Final payment can be made by check, credit, money order or bank wire transfer. All prices and payments are in US dollars and no other currencies can be accepted. Minimum age for children is 10 years old. An adult over the age of 21 must accompany every 2 children under the age of 18. The ratio of adults to children traveling together must be one adult per two children and two adults per four children (17 and under). The itinerary presented here is for the 11-day voyage along the Antarctic Peninsula. Read this itinerary as a guide only; our exact route and program varies according to ice and weather conditions - and the wildlife we encounter. Flexibility is the key to the success of this expedition. Visits to research stations depend on final permission. Camping and kayaking may be available on the Antarctic Peninsula aboard Expedition, but must be booked in advance as space is limited. Camping is limited to 60 people and includes time to enjoy the beauty of Antarctica from the campsite with ample photography and star-gazing opportunities. Kayaking is limited to just 10 people per excursion (multiple excursions included). Venture out to sheltered bays and areas known for calmer waters and take part in a group kayaking experience led by experienced and skilled leaders. No other activity gets you as close to the natural environment! For the 2015/16 season, kayaking costs an additional $899 and camping costs $299; please note camping is not available for March 2 and March 11, 2016 departures. For the 2016/17 season, kayaking costs an additional $999 and camping costs $349; please note camping is not available for March 4 and March 13, 2017 departures.. Call Adventure Smith for more details and to reserve an activity.